Great hosts. Yâall sometimes make me laugh out loud. Very good layman explanations but also some insight. I want to express, however, that I find the episodes that touch more in theory to be much more interesting than the âstoryâ ones. I want to think!!! Definitely would appreciate increased assumption of listener knowledge in popular topics like basic Econ theory, options theory, vol, macro market developments, investing theories etc. I really think that would make the episodes significantly more interesting. Especially given that the advantage of the podcast format over print is that you can interview experts and gain insights that you wouldnât get otherwise. Itâs a real opportunity for deeper dives into different perspectives on popular topics of ones that seem more niche but have broader extensions/implications (think the MMT and cryptoskeptic episodes are good examples of this). Basically, insight you gleam most efficiently from speaking with a person. I donât want to hear about stuff I can read on Bloomberg or financial times, you know? Demographic context: Iâm a female college student in my senior year who listens to this during my morning makeup routine. Iâm going into finance after I graduate, but defs count me in the non-industry professional category (as in yes, I probably know a bit more about finance than your average college kid but still I really think you guys could assume a little more prior knowledge from your listeners). I love the dynamic between Tracy and Joe (also allow me to express my appreciation also for a great younger female co-host -fist pump-) . The recent MMT episode (also crypto one was good!) prompted me to leave this review after years of listening.Once again, I think moreso in the past podcast topics were a bit too general - kind of like an audio version of knowledge I could find relatively easily. Always felt less educational and moreso like a review of things I knew with some more interesting detail and observations. Then again, maybe I expect too much from a podcast haha, but you guys seem like people up for a challenge. Really enjoyed hearing both sides of the MMT debate between your last 2 guests. These are the best discussions on MMT I have heard among all the programs Iâve listened to. Great job. No comparison to the biggest debtor nation of all?? Good conversation but what stands out the most is the complete absence of discussion of the enormous US debt. Even if it was outside the scope of this podcast, I would have liked at least an allusion to our debt problem. To think that bankruptcy, default, and declaration of odious debt here is out of the realm of possibilities, in my humble opinion, is regrettable. Our politicians and banks will save themselves just like politicians and banks around the world do. If expedient for a future, restructured US government version to find a way to not pay Medicare and SS obligations, US bonds, etc., then they will do so. Unfortunately, similar to one of the podcast examples, foreign bond holders and banks will more likely be made whole than the US citizens who were forced to pay lifetimesâ worth of contributions. Some conversation in a future podcast would be great. I apologize if this prospect was previously covered in other podcasts but this one seemed appropriate for a revisit. I enjoy the show. Thank you. While the female co-host is bearable, I cannot bear to hear the whiny voice of the male co-host. Sometimes there are interesting subjects, but I cannot stand hearing this guy (I say that generously). Just discovered Joe and Tracyâs Podcast recently and have really enjoyed it. Iâve followed Tracyâs work throughout the financial crisis. Sheâs really insightful. A good follow on Twitter too! Her and Joe do a great job with this podcast. I spent 15+ years in the financial and trading space and get consistent value out of this podcasts. It is well produced, with a bit of banter between the two hosts and then an interview topic, about the right length for a commute, and with minimal commercial breaks.They attempt to break down very complex topics into something that someone with a decent background in the space could understand, from trading strategies to volitility to the history of specific iconic products.Bloomberg has access to a lot of talent in this space and a podcast of this quality wouldnât occur without their connections.This podcast is well worth a listen. Great job Joe and Tracy! Keep emâ coming! 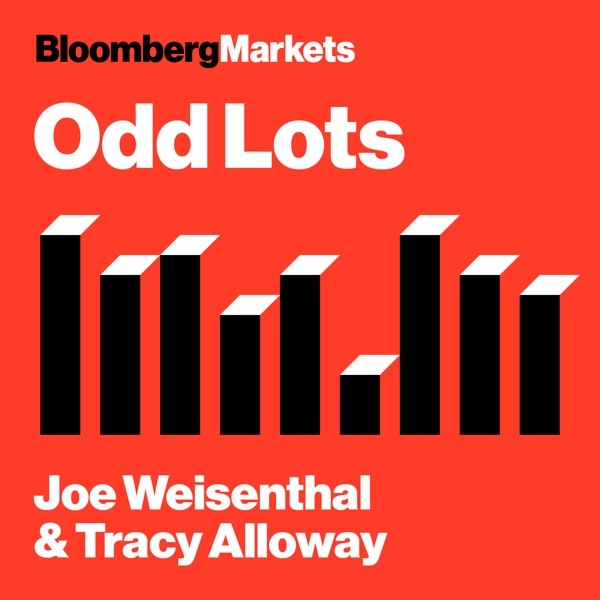 Tracy and Joeâs thoughtful and fun approach and questions, expert guests and fascinating topics combine to make one of my favorite podcastsâand Iâm not a finance or economics professional! Notably here: my lack of background is one of the reasons I appreciate their well placed explanations of theories, models and terminology. I listen to learn. Keep it up yâall! This podcast has excellent interviews and discussions with their guests. I find I have to save them so I can listen over again just to absorb all the fascinating ideas that they and their guests present. Novel subject matter from talented hosts in a solid format. She goes from an effected 'vocal dry' to mild up speak which undermines her surface understanding of the topic. He seems like a nice personality but sounds like a dweeb wanting to be an old hand. Youth is not an accomplishment. The Guests are great. (5 + 1)/2 = 3 Stars. I do love the show. There is always something offbeat to talk about in the world of finance and both hosts do a wonderful job of asking insightful questions. They need to work on their intro just a bit as it always comes off as heavily scripted. This is one of the best podcasts I have found. With rare exception, every one has been fascinating information about a topic that has not been covered by anyone else. They are informative and interesting. Fun, smart, great for people who love to learn new things about the world of finance. Perfect length, great interviews, fantastic. Really enjoy hearing about not-so-main-stream topics and ties to current events. Good podcast for the rotation. Joe and Tracy are the smartest, most entertaining people in the business so this will definitely be fantastic. Tom Keene as the first guest is a match made in financial heaven.